Deadwood aired three seasons on HBO before the series was cancelled abruptly by the network. The cast and crew thought a fourth season was in the works after the season three finale aired, but the series was cancelled during the break. Kim Dickens starred on the HBO series, and she now stars on Fear the Walking Dead on AMC. 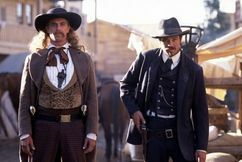 A film for Deadwood has been talked about since the series ended, and Kim Dickens confirmed the rumors. The actress also spoke about the abrupt cancellation of the series. Dickens made it clear that she would gladly return to the role if a film was created to close out the series. Right now, she is busy filming season two of Fear the Walking Dead. Were you a fan of Deadwood? Would you want to see a film clear up the loose ends from season three? Tell us what you think. 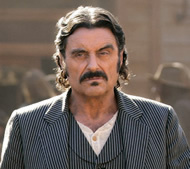 More about: Deadwood, Deadwood: canceled or renewed? I was , and still am a fan of the show ! it had such a great cast , and all of the actors were great in it . It was one of the best written and acted movies I have ever seen . it was a disappointment when it just ended . I own the series on dvd , and have shown many friends the series , and all have said the same . I never really knew why it was cancelled , but it was a mistake . Id definitely watch more . 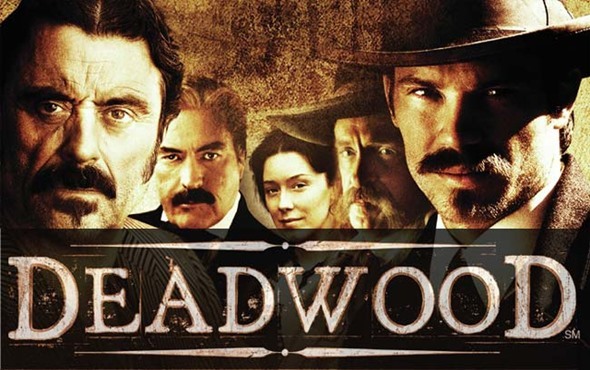 I loved Deadwood, and was livid when it was cancelled so abruptly, I have stayed a fan of all those involved in the show, and continue to watch their TV shows and films; and I would race out to see a film if they made one, as I own the entire series on DVD! I also loved Deadwood. If not another season then a tie up movie. I would go to the show and pay rip off prices to see it.